I have been a musician and performer since childhood. I began piano at age six, guitar at age ten. I formed my first band at thirteen. I became a recording artist at age 18, with the band "Merkin" and the album "Music Form Merkin Manor," recorded in Redondo Beach Cal. on Windi records, in September 1972 on Windi Records. I recorded "Face First" in 1987, at Audio Visions studios in Pleasent Grove Utah. Produced by Jim Pitman of "The Strawberry Alarm Clock." "Stormhaven" was next in 1992, recorded at Clear Lake Audio in Burbank, Cal. In 1999, "Merkin" returned with a new album, "Havin' Fun" and a a reissue of the first album on CD and European Akarma Records release on vinyl. 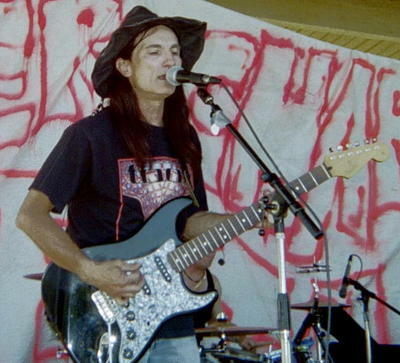 Through 2006- 2009, I performed regularly with my blues rock trio, Skinny Bob & The Blues Dawgs while completing a BA in English, with minors in music and communication at Weber State University. I am currently recording new material.